I was born and brought up in Liverpool, growing up when the Beatles were there; I did go to the Cavern, but not often. I went to school in Scotland (for my health), and then back to Liverpool University. I didn’t work as hard as I should have, but I did get into the top 10% of students, with an upper second class degree. I was going to take a year off, because I was a year younger than average, but an opening popped up in my present set of chambers. I was one of only two people applying for a pupillage, and I was lucky. (Just as an aside, nowadays we get up to 600 applications for one or two pupillages). I got married to my childhood sweetheart (we lived opposite each other in a small village north of Liverpool) soon after I started work, and we have two children, and two, nearly three, grandchildren. We have always lived in the country, and enjoy being out in the countryside with horses (carriage driving), dogs and cats. I've always been mad about cars. I've been in the same Chambers ever since I started, and have been involved in running them for about 30 years. I've been “Head” of my Chambers, ie the barrister in charge, for about 10 years. We have developed to being one of the biggest sets of chambers in the country. When I was young, most barristers didn’t specialise, but did anything and everything that looked like going to court. In my case, that included criminal cases, divorce and family law, commercial claims, and a lot of personal injury work. It was the latter that appealed to me, possibly because it combines so many aspects which I like. I get to travel the country, seeing different clients and families, doing my best to help, and usually succeeding. The more personal injury work I did, the more I enjoyed it, and so I gradually became involved in more serious claims, including severe brain injury and spinal cord injury. By the time I was ready to apply to become a QC, that was the area I was most interested in, and I decided that I would specialise if I could. I've done nothing else ever since. Video clip of Bill Braithwaite describing his expertise as a brain & spinal injury claims lawyer. Bill Braithwaite QC talks about the importance of selecting the right brain injury barrister. Bill Braithwaite QC speaks about the vital importance of picking an expert spinal injury solicitor. Client testimonial video clip describing his experience of working with Bill Braithwaite QC. Client’s family member, talking about Bill Braithwaite’s experience, expertise and personal caring. 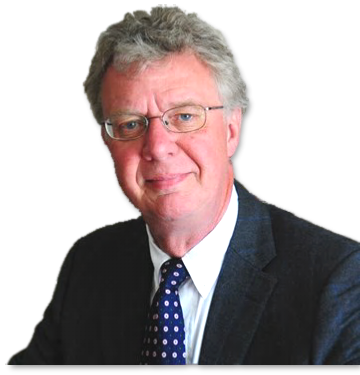 Bill Braithwaite QC discusses the critical issue of choosing an expert brain injury solicitor.